Ten years on the California coast has acquainted us with the fire season. This year it is closer to home. 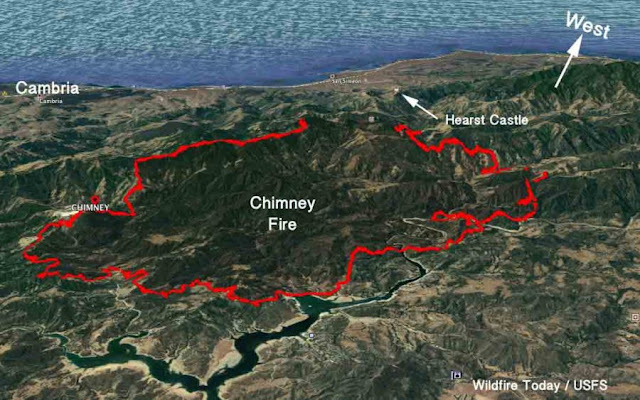 3,785 Firefighters now battle the Chimney fire that threatens the Hearst Castle. 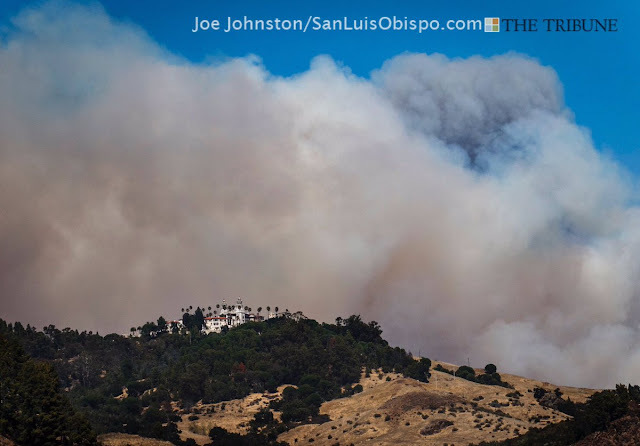 The blaze has grown to 31 thousand acres and is some 3 miles from the famed Castle. The private Hearst Ranch has moved cattle but lost out buildings including an historic fishing cabin. Cal Fire says the blaze is erratic and they continue to bolster the effort. 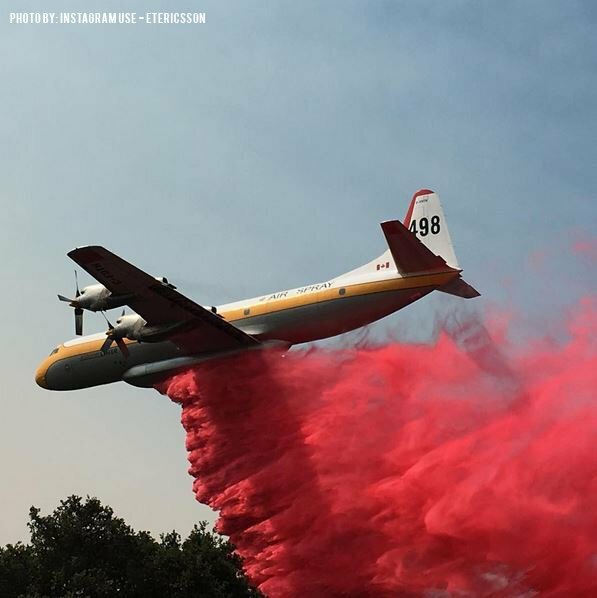 14 Helicopters, 7 air tanker planes, 50 dozers, 43 water tenders, 311 fire engines, 104 crews and some 3,700 firefighters continue to battle the blaze that feeds on drought parched wild land. The Castle has been closed to visitors. The fire is 35% contained. The southern end of the fire borders the Paso Robles appellation wine territory. Air quality has been affected and a coating of ash continues to settle on cars and homes. California media is experienced at fire coverage and long time residents take it all in stride. Evacuation procedures and plans are discussed. We assure ourselves we are far enough and fire fighting efforts will halt its advance, but it is an uneasy inner truce. One can not help but feel powerless as nature plays its hand. I think it is reminiscent, in a small way, of the Brits during the Nazi bombing blitz of WWII. They continued with life and tried to make it as normal as possible, despite the nightly bombing. 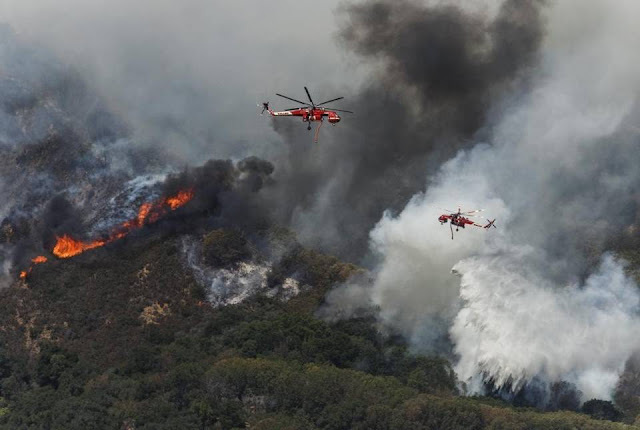 Here we go about our routines, watch the smoke clouds over the mountains, pay extra attention to the media, we may even listen to special frequencies hearing the emergency command center, pray for the safety of the fire crews and wait desperately to hear the containment percentage increase. As tense as that may be, we know that for a few dozen families in the fire zone homes are gone and more than one thousand others are threatened. Watch and wait is what we do. I read this morning that the fire was moving in a northward direction now, away from the Castle. I hope they can bring it under control soon. Coastal winds are changeable. The good news of moving from us is bad news for people to the north. Indeed we hope for containment, soon. Tom--Nice analysis, pix, graphics. The Castle itself would never burn, it's made of concrete, but the grounds are susceptible and smoke damage could affect the contents. Sounds like there's little chance anyway with the numbers of personnel up on the mountain> We had guests today who had reservations, it was closed except for the visitor center. Certainly hope it doesn't get to a point of fighting it at the Castle, but indeed your observations are spot on. Nice analogy to WW2 London and the blitz.. we've been spared some by late season rains, so the fire season up here is about average, or even below so far. And the Hearst Castle is not immune because it was made of concrete. Look at all the wood inside, and other flammables. It would be a concrete ruins is a big fire took it over. Hope that never happens. Good to hear your fire season has been dampened some. Thanks for the best wishes. 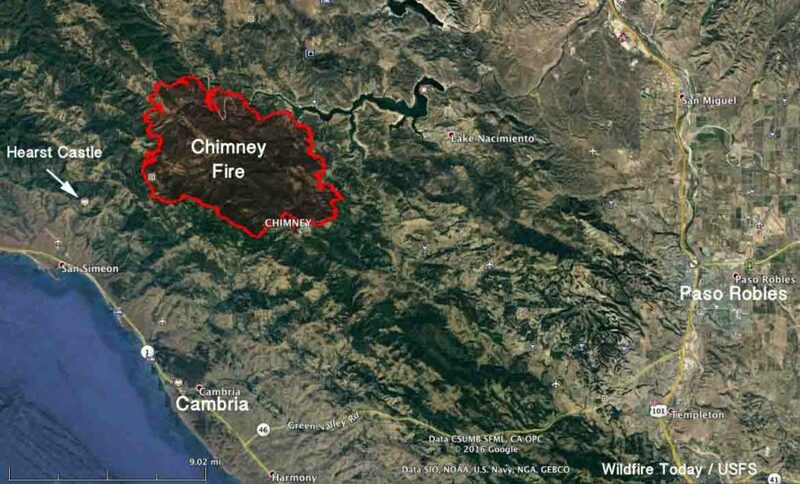 I'm crossing my fingers that this fire is contained and you and your neighbors are spared tragedy. It would be awful to lose Heart Castle. I doubt it could be rebuilt if all those treasures burned, but of course people are more important. Take care. Stephen, Thanks. Cal Fire and the State Parks Fire Team are prepped and committed to keeping the blaze away from the castle. They closed all windows and vents to eliminate the potential of smoke damage. We'll keep you posted.